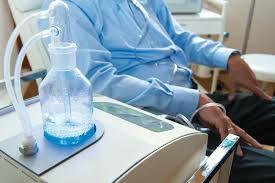 Ozone therapy is a medical therapy that has been used worldwide for over 50 years with increasing success and safety. Though still considered an alternative treatment by “traditional” medical authorities, the ever growing list of Ozone practitioners worldwide is proof that this treatment is becoming a successful medical tool. Ozone therapy consists of Ozone (O³), an ‘activated’ form of oxygen with three atoms of oxygen attached together, being introduced into the body via various delivery methods, usually involving its mixture with various gases or liquids. Ozone is a triatomic version of oxygen (O²) and it is far more energetic and oxidative than Oxygen, which is what makes it so useful for many applications, including air purification, water purification, and medical Ozone therapy. As an oxidizer, ozone destroys bacteria, viruses, parasites, amoeba, mould and fungus, as well as some harmful chemicals and impurities. It is 35 times more powerful than chlorine and yet leaves no unhealthy chemicals or byproducts behind; and if used properly and in the proper amounts, it is completely non-toxic. 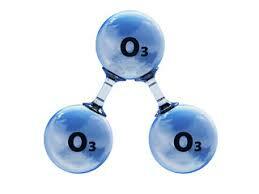 Ozone is created in nature and it can also be created by machines called Ozone generators. In nature, Ozone is created when Ultraviolet Radiation (UV) coming from the sun energizes some of the oxygen molecules and turns some oxygen (O²) into Ozone (O³), as seen when sun light falls on waterfalls, and on ocean waves , or during thunderstorms when lightning passes through the air. In the late 1800’s, it was found that Ozone could be made artificially by exposing air to UV light. The machine used to create the Ozone was simply referred to as an ‘Ozone generator’.Today, most Ozone machines on the market typically use one of two technologies to generate the Ozone: UV (Ultraviolet radiation) or an electrical discharge method referred to as Corona discharge. Since medical Ozone therapy requires relatively high Ozone concentrations, it generally uses Ozone produced from Corona discharge technologies. 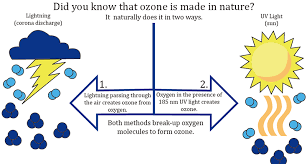 Ozone works well for such a wide variety of medical conditions and diseases because it affects the biochemistry of the body in such ways that it gets to the root cause of many diseases. 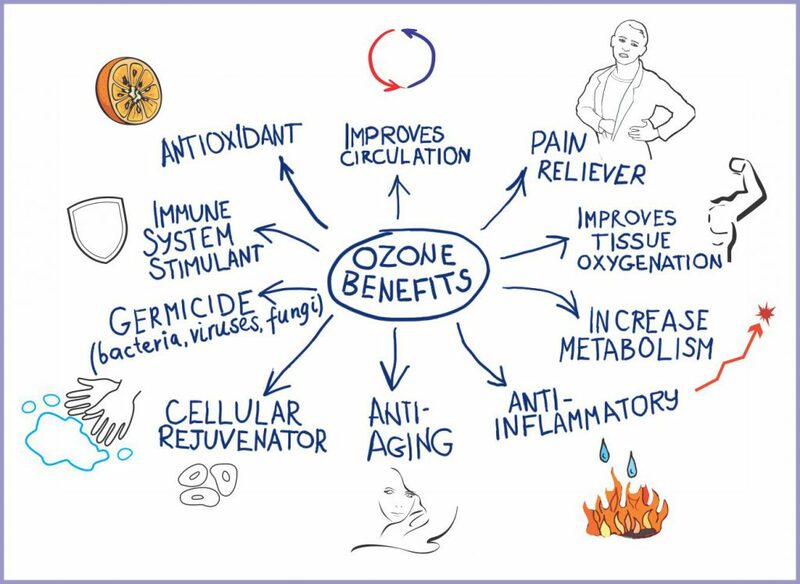 Ozone has the ability to ‘wake up’ the immune system to make it function better. It increases oxygen delivery to the tissues and cells by the body’s red blood cells (RBCs) and it makes the RBCs more ‘squishy’ and versatile so they can pass easily along the narrow blood vessels that supply your tissues and organs with blood and oxygen. (It has been proven that cancer and disease prefer poorly oxygenated tissues in the body). Ozone kills bacteria, viruses and malignant cells on contact due to its oxidative nature, and it inhibits the ability of viruses to attach to healthy cells. It increases the efficiency of cellular energy production, and it improves the activity of the body’s antioxidant enzyme systems to achieve an overall lowering and balancing of the body’s oxidation levels.